I am 47 years old and have lived nearly half of my life without my mother. A Yuwallarai and Wiradjuri woman from northwestern NSW and the oldest of 18 kids, Mum died in 1996 at the age of 54. Struck down by diabetes and kidney failure, she suffered a stroke before passing away some six months later in a palliative care unit surrounded by people up to four decades older than her. So, for Mum, the gaps were insurmountable. But that’s not her whole story. She taught herself to read while a domestic servant, cooking and cleaning for a white pastoral family. She went on to carve out a niche for herself as a jillaroo, cook, taxi driver, community liaison officer, small business owner, and university student. 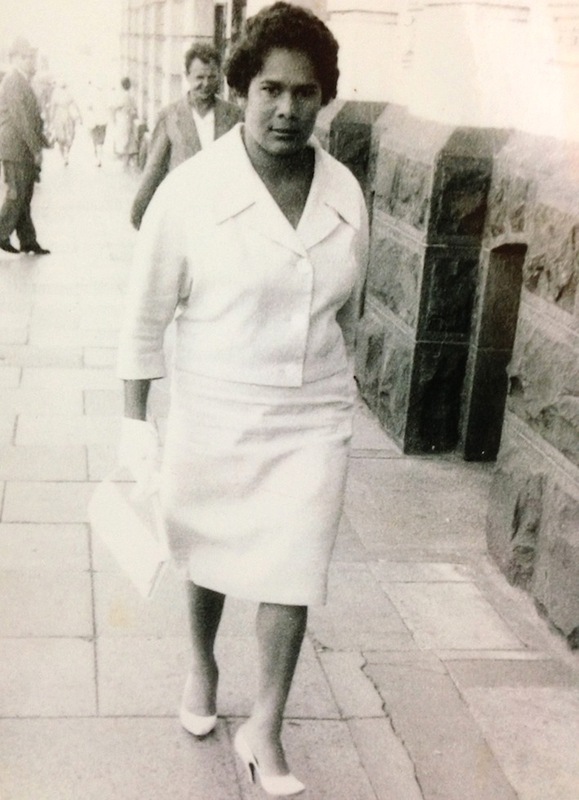 Along the way, she had four children – two daughters and two sons – and married Dad, a good and principled non-Aboriginal man. Mum was too much for some people, not enough for others. Black, smart and kind of heart, she was also feisty. In the face of ugliness and oppression – irrespective of its source – she was defiant and dignified. I’m lucky. I know where and who I come from – good stock, imperfect but hard working, smart, staunch, courageous, caring and hopeful people, most of whom still live on country. And so, when I feel disheartened by the occasional personal attack or putdown by people who know little about me, I remind myself that I am my mother’s daughter. It matters not to me where such occasional drubbing comes from. Within virtually every community or setting, there are those for whom this kind of damaging behaviour is a compulsion that can’t be stifled, an unhealthy habit too ingrained to break. But here’s the thing. After decades of dispossession, racism, and neglect, Aboriginal people are so behind the eight ball in many respects that we can’t afford this kind of behaviour within our own communities. Lives, futures depend on us being better than that. Culture is central to our lives, as we grapple with all of the collective challenges in front of us – lack of recognition and respect for our rights, poverty, poor health, disability, over-incarceration, high child removal rates and so much more. Sadly, there are some people from outside our communities who would do us harm; who would happily see Aboriginal and Torres Strait Islander people further dispossessed, locked up, uneducated, poor, sick, frightened, or cowed. I know enough good and decent people to be optimistic that this is not a prevailing attitude within Australia, but there are still others who would look at damaging behaviours sometimes evident within our community and think with glee, ‘This is just too easy. They will destroy each other. I don’t even need to lift a finger’. I say ‘no’ to enabling that. And I say ‘Here’s to the builders, the encouragers, the supporters – both black and white. I salute you’. Even when we have our eye on the same destination, we can take different paths. My greatest respect is reserved for those who can do their work and travel their own journey without belittling or trying to diminish others whose approach they may disagree with. So, to anyone for whom I may be too much or not enough, move along. I am my mother’s daughter. And I have work to do. A bit of insightful commentary that promotes kinship, both black and white, and decries spite of all colours and stripes. Keep it up.